Welcome to Out Of The Bubble hosted by Rachel Peru. Where you get to hear from amazing women over 40 who are embracing life and leaving a trail of inspiration along the way. Ep.12 , Out of the Bubble with Rebecca Weef Smith, editor of Goldie magazine. Preview of Ep.12 , Out of the Bubble, with Rebecca Weef Smith, founder of Goldie magazine. 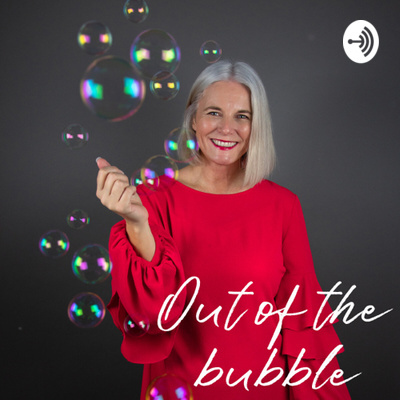 Sneaky peek at Ep.12 when I am joined by the inimitable Rebecca Weef Smith who is not only the editor of Goldie magazine but you can add positive psychology fashion researcher, counsellor & coach, stylist, writer, speaker and pro ageing activist to the list. We find out what it's like to set up a printed magazine in your 50's, where her passion and drive comes from, her refreshing approach to ageing and so much more. Rebecca talks openly and honestly and left me feeling inspired and motivated, with lots of food for thought. Coming up on this weeks interview with Nancy Zeffman and Eileen Willett from Cucumber Clothing we talk about building a new business in your fifties. Mixing friendship and business, how they feel about ageing and how they find important time for themselves. If you are in need of some starting a new business inspiration then this ones for you! Full episode available Monday 18th March. Episode 10 with stylist Nicky Hambleton Jones, founder of NHJ Style. Preview of Ep.10 Out of the Bubble with top stylist Nicky Hambleton Jones. Here's a sneak preview of Episode 10 with the super stylish Nicky Hambleton Jones. Nicky is the founder of NHJ Style, celebrity stylist and lots will remember her from CH4 series 10 Years Younger. We talk about changing careers in her thirties, what Nicky thinks about the change in attitudes to ageing and how she is embracing life as she heads towards 50. Preview of Ep.9 Out of the Bubble, with Melissa Talago, founder of Glamoraks. When Melissa Talago decided to take some hours off and go out walking one weekend little did she know that it would spark a new passion in life and lead to her creating a global online community for women. We find out what it's like to climb Kilimanjaro, how Melissa approaches hurdles in life and she shares her love of getting out in to the fresh air with your walking boots on. Full episode 9 with Melissa Talago available Monday 18th February. Preview of Episode 8 with fashion designer Anna Scholz. This week I chat with super talented plus size fashion designer Anna Scholz. We find out what started Anna's passion for design, where her fabulous confidence comes from and what keeps her motivated. I am sure some of Anna's confidence and energy will not fail to rub off on you. This weeks guest is a self confessed introvert and amazing landscape photographer Margaret Soraya. Margaret tells us what life is like as a photographer living in an idyllic village by Loch Ness in Scotland. We talk about her journey, the beauty in travelling solo and following your passion. You can't fail to come away feeling calmer and inspired by this lady. 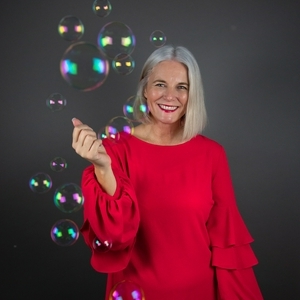 Here's a sneak preview of Episode 6 with Jacynth Bassett founder of The-Bias-Cut.com helping fight ageism in the fashion industry and helping give women in midlife their fashion confidence back. Don't miss out! Available Monday 7th January. Here's a sneak preview of Episode 5 with former athlete and Olympic champion Jenny Stoute. We talk about her incredible career path, including her time as Rebel in Gladiators to her latest journey into modelling, after winning the Women & Home magazine model competition inconjunction with JD Williams. Jenny has such an infectious enthusiasm for life it's hard not to be left feeling inspired. Here's a sneak preview of Episode 4 with Imogen Clark. We will be finding out how a mum of 4 began a journey into writing and now has a 3 book deal with Amazon at the age of 52. Don't miss out! Out Monday 10th December. Here's a sneak preview of Episode 3 with American model Erin Green, who aged 42 became the oldest contestant of American Next Top Model. We talk about being a model in a youth obsessed industry, challenges and how Erin is inspiring and supporting the next generation of young girls. Here's a sneak preview of Episode 2 with Zoe McNulty from The School Of Strut). We will be talking about body confidence, dancing and Zoe's views on the health industry. Don't miss it! Out Monday 12th November.